South Pacific is an old-time, yet modern love story. It's similar to Romeo and Juliet. Girl meets boy. They fall in love, but their love is forbidden. Love is forbidden due to deeply held prejudices. Strauss Theatre Center presents Rodgers and Hammerstien's South Pacific: In Concert with the Monroe Symphony Orchestra. 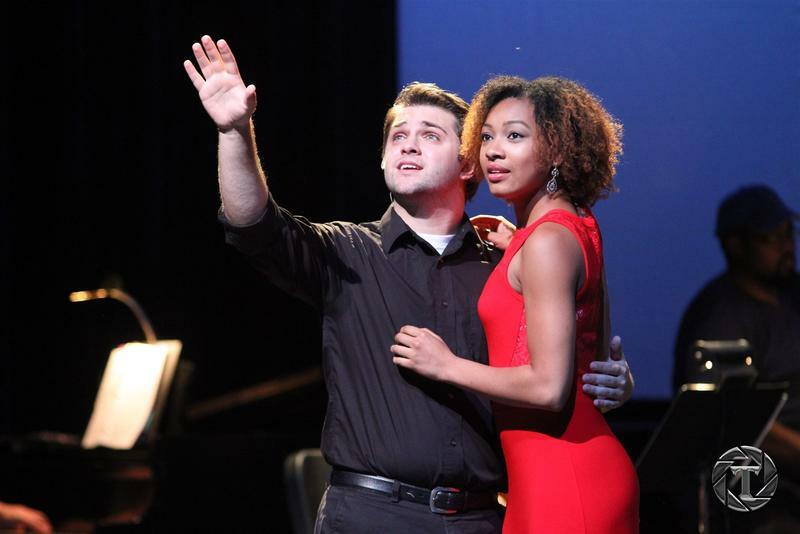 Love And War In Strauss Production of "South Pacific"
An award-winning musical that addresses inter-cultural romance and post-war issues is presented this weekend at Strauss Theatre Center. South Pacific is an old love story, but it confronts prejudices that take place in the present day. Director Corey Trahan says that he hopes the audience can relate to the show. Trahan says he hopes that the play encourages people to think. "It was pretty controversial then, but even today it still has issues that we deal with," Trahan says.